In conjunction with our Gympie Business Directory, we undertake custom website development for a range of clients. We incorporate the latest design and development techniques and tools as well search engine optimisation priciples in the development process to ensure that you are presented with a great looking website that is functional and user friendly as well as having better potential of ranking well in the search engines. We specialise in Worpdress development using the premium StudioPress Genesis framework to provide outstanding websites for our clients (seee our portfolio for some examples). 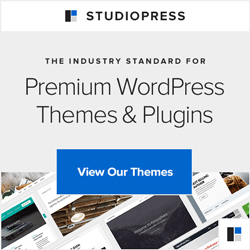 The Genesis Framework is supported by Brian Gardner originator of the Revolution and StudioPress Premium themes and we have been Pro-Developer Members since 2008. The Genesis framework offers many advantages for site owners including superior SEO optimisation and one click updates.